There's proof - cotton can be very pretty! 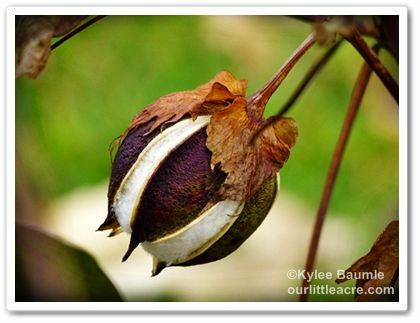 My mother used to grow a few stalks of brown cotton just as a novelty item. The cotton itself was medium brown instead of white. From my northern perspective cotton seems quite exotic. It is certainly a plant that has had a huge impact on history.